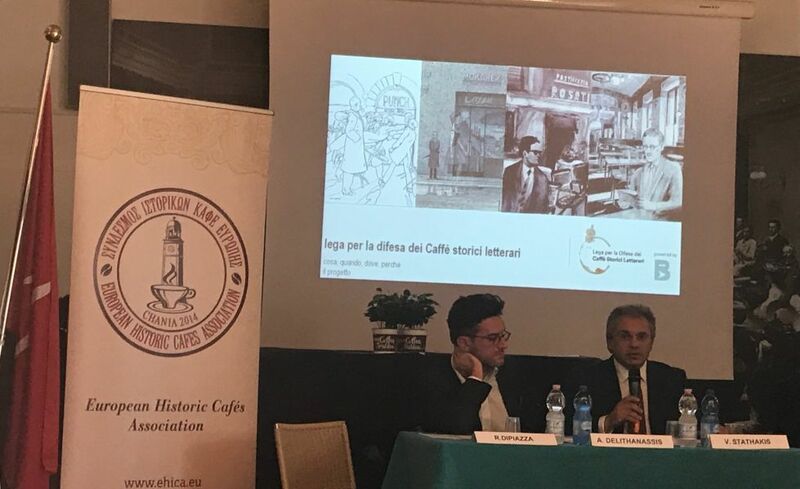 The European Historic Cafes Association (EHICA) traveled in Trieste, on Tuesday, October 23, 2018, in order to participate at the the inauguration of the Italian Association for the Protection of Historic Literary Cafes. Mr. Vasilis Stathakis, Founder and President of EHICA, was an official guest and speaker at the event. The Italian “Lega” for the Protection of Historic Literary Cafes was set up to protect the country’s Historical Cafes, institutionally and dynamically, several of which, including the iconic Antico Caffe Greco in Rome, are in danger of being closed down. 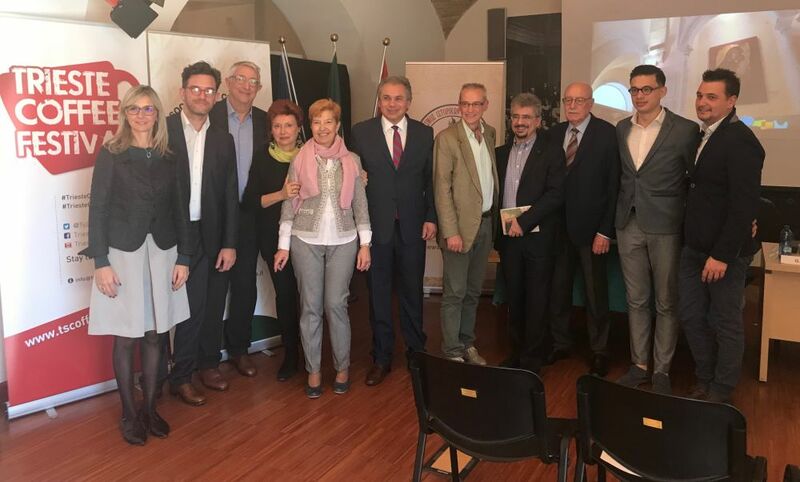 Among the speakers were members of the Ministry of Culture of Rome, the Mayor of Trieste, academics, owners of Historic Cafes and many journalists. In his speech, Mr Stathakis, Founder and President of EHICA, stressed among others: “All of us who are here today have a basic common point. A common point that unites us over language, culture, nationality. We are all lovers of coffee. And Cafes. Of the Historic Cafes that have been preserved through time, of the Cafes, which have been the places that culture and art bloomed. Historic Cafes, are unique places of reference. Some have been operating for more than 100 years, while others are located in historical buildings of the past centuries. They are places with special symbolism, small museums, and they always host distinguished personalities of the Letters, Arts, Politics, and people of all social classes. There have always been meetings points of writers, poets, painters, musicians, scientists, aristocrats, politicians, intellectuals who left their imprint and influenced history. From the Historic Cafes artistic trends, blooming philosophical theories and movements were arise. In fact, the history of Europe has been influenced by Historic Cafes. Frances Kafka, Albert Einstein, Johan Wolfgang Ghette, Carlo Goldoni, Kazanova, Lord Byron, Alexander Dumas, Henry Ipsen, Siegmund Freud, James Joyce, Leon Trotsky, Marcel Proust, Fernando Pesha, Friedrich Nietzsche, Charles Dickens, Ernest Hemingway, Charles Bodller, Amber Camus, Oscar Wilde, Shimon de Beauvoir, Lord Vyronas, Hans Christian Andersen, Franz Liszt, Richard Wagner, Joachino Rossini, Rainer Maria Rilee, John Kitch, Mary Selis, Mark Twain, Rigas Ferreos, Eleftherios Venizelos, Nikos Kazantzakis, Melina Merkouri, Mikis Theodorakis, DeKirico, Picasso, Goutuso were regulars of Historic Cafes. A typical example of Historic Cafe is Antico Caffe Greco. A Cafe that is now in danger of closing. Let me ask a question: Will the Louvre, the Hermitage, the Orsay, the Acropolis ever will close down? Never. So why risk closing a Historic Cafe? It’s as if a “piece of history” is closing. One of the most vivid pieces of history! 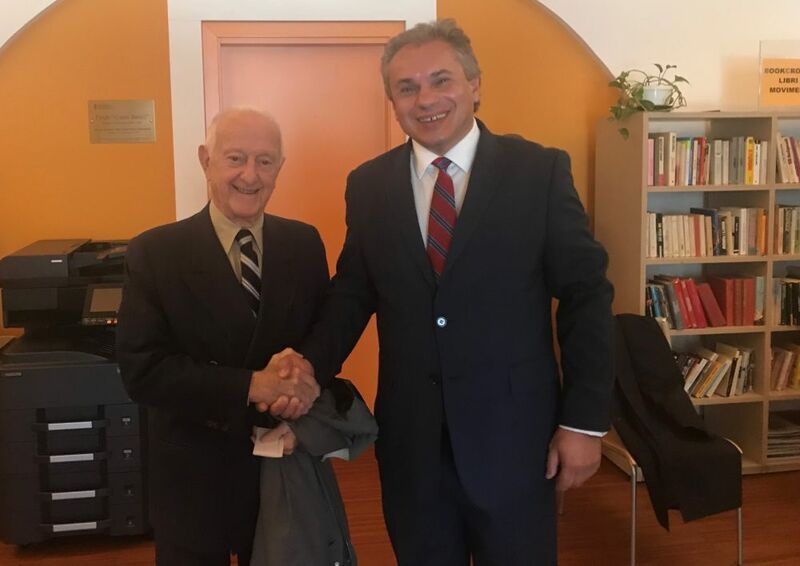 It is worth noting that Honorary President of the Lega for the Protection of Historic Literary Cafes of Italy is Mr. Arrigo Cipriani, the emblematic owner of the Historic and most famous Cafe internationally, the Harry’s Bar of Venice, who was present at the event. Speakers panel: From the left, the owner of the Historic Cafe Antico Caffè San Marco in Trieste, Alexandros Delithanassis and the Founder and President of the European Historic Cafes Association, Mr. Vasilis Stathakis. 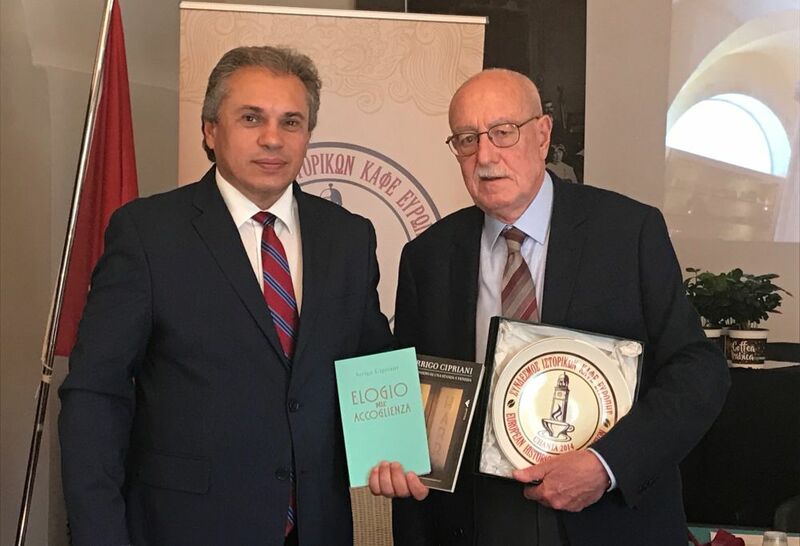 The Founder and President of EHICA, Mr Vasilis Stathakis (left), with the President of the Italian Lega for the Protection of Historic Literary Cafes, Mr. Angelo Boscarino.